U-2 Spy Plane Operated By The US Air Force For Spying Missions. The U-2 is a USAF spy plane built by Lockheed Martin tp gather intelligence on the Soviet Union. The U-2 is a single-seat, single-engine, high-altitude aircraft flown by the United States Air Force. The U-2 provides day and night, high-altitude (70,000 ft, 21,000 m plus), all-weather surveillance. The U-2 is also used for electronic sensor research and development, satellite calibration, and satellite data validation. U-2 spy-plane is nicknamed the Dragon Lady. Origin of the U-2 spy-plane. 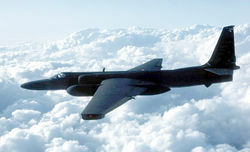 The Lockheed U-2R/TR-1 in flight. In the early 1950s, with Cold War tensions heating up, the US military needed improved strategic reconnaissance to determine Soviet capabilities and intentions. The existing surveillance aircraft were primarily converted bombers, but they were vulnerable to antiaircraft fire and fighters. It was thought that a plane capable of flying at 70,000 feet would not only be beyond the reach of Soviet fighters and missiles, but would also be outside the range of radar detection. This ability would allow the very risky process of "overflights"; knowingly violating a country's airspace in order to photograph a particular location. The Air Force gave contracts to Bell Aircraft, Martin Aircraft, and Fairchild Engine and Airplane to develop proposals for the new reconnaissance aircraft. Officials at Lockheed Aircraft Corporation heard about the project and asked aeronautical engineer Clarence "Kelly" Johnson to come up with a design. Johnson was a brilliant designer, responsible for the P-38 Lightning, and the P-80, the first US jet fighter. He was also known for completing projects ahead of schedule, working in a separate division of the company jokingly referred to as the skunk works (a name taken from the distillery in the Li'l Abner comic strip). Johnson's design, called the CL-282, married long glider-like wings to the fuselage of another of his designs, the F-104 Starfighter. To save weight, his design didn't even have conventional landing gear, taking off from a dolly and landing on skids. The design was rejected by the Air Force, but caught the attention of several civilians on the review panel, notably Edwin Land, the father of instant photography. Land presented the proposal to CIA director Allen Dulles that his agency should operate this plane. After a meeting with President Eisenhower, Lockheed received a 22.5 million dollar contract for the first 20 planes. It was renamed the U-2, with the U referring to the deliberately vague designation "utility". The first flight occurred on August 1, 1955, during what was only intended to be a high speed taxi run. The sailplane-like wings were so efficient that as soon as the plane hit 70 knots it jumped into the air. The Polaroid Corporation developed the optics for a new large format camera to be used in the U-2. These new cameras were able to provide a resolution of 2.5' (.76 m) from an altitude of 60,000 ft (18288 m). Flight characteristics of the U-2 spy-plane. The unique design that gives the U-2 its remarkable performance also makes it one of the most difficult planes to fly. It was designed and manufactured for minimum airframe weight, which results in an aircraft with little margin for error. High-aspect-ratio wings give the U-2 spy-plane some glider-like characteristics, with a lift-to-drag ratio estimated in the high 20s. To maintain its operational ceiling of 70,000 feet (21 336 m), the U-2A and U-2C models (no longer in service) must fly very near their maximum speed. However, the aircraft's stall speed at that altitude is only ten knots (18 km/h) less than its maximum speed. This narrow window was referred to by the pilots as the "coffin corner". 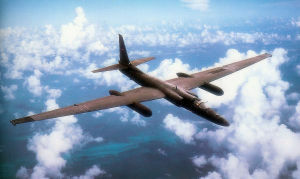 For 90% of the typical mission, the U-2 pilot was flying within only five knots of a stall, which would constitute an unacceptable decrease in altitude, and consequently, detection, not to mention the potential of damage to the lightly built aircraft in recovering from any unusual maneuver or attitude. 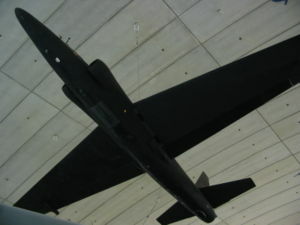 U-2 spy-plane at The Imperial War Museum, Duxford, showing its large wingspan. Its large wingspan and resulting glider-like characteristics make the U-2 highly sensitive to crosswinds. This sensitivity, and the aircraft's tendency to float over the runway, makes the U-2 notoriously difficult to land. Instead of the typical tricycle landing gear, consisting of a nose wheel and two sets of main wheels, one under each wing, the U-2 uses a bicycle configuration, with of one set of main wheels located just behind the cockpit and one set of rear wheels located behind the engine that are coupled to the rudder and provide steering. To maintain balance and allow the aircraft to taxi, two auxiliary wheels, called 'pogos,' are installed in sockets, one under each wing at about mid span, by ground crew. The pogos fall out of the sockets in the wing and onto the runway surface when the aircraft takes off. The ground crew collects the pogos and re-installs them after the aircraft lands. Skids made of titanium are located on the bottom of each wing tip to protect the "heavy" or downed wing. The ground crew install a pogo in the "light" or down wing first while the other crew members use their weight to pull down the light side. Then two of the crew will use their weight to push up the heavy wing, allowing the third crew member to install a pogo on the other side. Because of its high-altitude mission, the pilot must wear the equivalent of a space suit. The suit delivers the pilot's oxygen supply and emergency protection in case cabin pressure is lost at altitude (the cabin provides pressure equivalent to approximately 29,000 feet (8800 m)). To prevent hypoxia and decrease the chance of decompression sickness, pilots don a full pressure suit and begin breathing 100% oxygen one hour prior to launch to de-nitrogenize the blood; while moving from the building to the aircraft they breathe from a portable oxygen supply. Operational history of the U-2. Though both the Air Force and the Navy would eventually fly the U-2, it was originally a CIA operation. Due to the political implications of a military aircraft invading a country's airspace, only CIA U-2s conducted overflights. The pilots had to resign their military commissions before joining the CIA as civilians, a process they referred to as "sheep dipping". Pilot training in the U-2 was significantly aided by the construction of a pair of two-seat trainer aircraft, modified from the single-seater and designated the CT-2, with the second (trainee) cockpit mounted behind and above the cockpit of the (training) pilot in command. The aircraft came to public attention when pilot Francis Gary Powers was shot down over Soviet territory on May 1, 1960, causing an event known as the U-2 Crisis. On October 14, 1962, it was a U-2 from the 4080th Strategic Reconnaissance Wing, based at Laughlin Air Force Base near Del Rio, Texas, that photographed the Soviet military installing nuclear warhead missiles in Cuba, precipitating the Cuban Missile Crisis. However, later in the Cuban missile crisis, another U-2 was shot down, killing the pilot, Major Rudolph Anderson. Major Anderson was posthumously awarded the first Air Force Cross. Beginning in 1963, the CIA tested using U-2 spy-planes on aircraft carriers as a way to overcome the plane's range limitations. After CIA pilots successfully tested takeoffs and landings of U-2s on the USS Ranger and other carriers, U-2s were used to monitor French nuclear tests on Moruroa in 1964. In early 1964, the Strategic Air Command (SAC) sent a detachment of U-2's, from the 4080th SRW (Strategic Reconnaisannce Wing) to South Vietnam to fly high altitude reconnaissance missions over North Vietnam. On 05 April 1965, U-2 spy-plane's from the 4028th SRS (Strategic Reconnaissance Squadron) took photos of SAM-2 sites near Hanoi and Haiphong harbor. On 11 February 1966, the Wing was redesignated the 100th SRW; and the SRS detached at Bien Hoa, South Vietnam, was redesignated the 349th SRS. On 08 October 1966, the only loss of a U-2 spy-plane during combat operations occurred when USAF pilot MAJ Leo Stewart, flying from the 349th Strategic Reconnaissance Squadron, developed mechanical problems while at high altitude over North Vietnam. The U-2 managed to return to South Vietnam where the pilot was able to eject safely. The U-2 spy-plane crashed near its airbase at Bien Hoa, South Vietnam, and the pilot survived. In July 1970, the 349th SRS at Bien Hoa Airbase displaced to Thailand and was redesignated the 99th SRS, and remained there until March 1976. In 1969, the larger U-2Rs were successfully flown from the USS America. The U-2 carrier program is believed to have been halted after 1969. The U-2 is still in front-line service over 50 years after its first flight despite the advent of surveillance satellites. This is primarily due to the ability to direct flights to targets at unpredictable times, an ability which satellites lack. Production of new aircraft was restarted in the 1980s. It has outlasted its Mach 3 SR-71 replacement which was retired in 1998. A classified budget document approved by The Pentagon on December 23, 2005, calls for the termination of the U-2 program no earlier than 2011, with some aircraft being retired as early as 2007. U-2 spy-plane Crisis of 1960. Variants of the U-2 spy-plane. SAC TR-1A of the 95th Recon Squadron, RAF Alconbury. A derivative of the U-2 known as the ER-2 (Earth Resources -2) is based at the Dryden Flight Research Center and is used by NASA for high altitude civilian research including Earth resources, celestial observations, atmospheric chemistry and dynamics, and oceanic processes. Recent developments of the U-2 spy-plane. In January 2006, Secretary of Defense Donald Rumsfeld announced the pending retirement of the U-2 fleet. Designed as a cost cutting measure, and as part of a larger reorganization and redefinition of the Air Force's mission that includes the retirement of the E-4B fleet, the cancellation of the E-10 MC2A program, as well as the elimination of all but 58 B-52s. Secretary Rumsfeld stated that this move will in no way impair the Air Force's ability to deliver the mission of the U-2, which will be accomplished by satellites and a growing supply of unmanned RQ-4 Global Hawk reconnaissance aircraft. However, Congress has so far delayed attempts to retire the current model U-2S, since there is still no system available that can replace the capability of this aircraft. The aircraft carries a variety of sensors in the nose, Q-bay or wing pods. The U-2 is capable of simultaneously collecting signals, imagery intelligence and air samples. Imagery intelligence sensors include either wet film photo, electro-optic or radar imagery - the latter from the Raytheon ASARS-2 system. 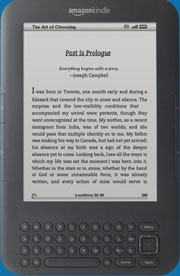 It can use both line-of-sight and beyond-line-of-sight data links. One of the most unusual instruments in the newest version of the U-2 is the off-the-shelf Sony video camera that functions as a digital replacement for the purely optical viewsight (an up-side down periscope-like viewing device) that was used in older variants to get a precise view of the terrain directly below the aircraft. Inventory: Active force, 35 (4 two-seat trainers); Reserve, 0; ANG, 0. General characteristics of the U-2 spy-plane. Length: 62 ft 9 in (19.1 m). Wingspan: 103 ft (30.9 m). Height: 16 ft 1 in (4.8 m). Wing area: 1,000 ft² (92.9 m²). Empty weight: 14,990 lb (6,800 kg). Max takeoff weight: 41,000 lb (18,600 kg). Powerplant: 1× Pratt & Whitney J75-P-13B turbojet, 17,000 lbf (76 kN). Performance of the U-2 spy-plane. Maximum speed: 510 mph (821 km/h). Range: 3,500 mi (5,633 km). Service ceiling: 90,000 ft (27,430 m). U-2 spy-plane in popular culture. A popular theory about the origins of the name of Irish rock band U2 is that the name is taken from the U-2 spy plane. This theory is bolstered by the fact that in the band's early days, their name was written as "U-2". Lead singer Bono was born just ten days after the U-2 Crisis and has debunked the other popular theory that U2 stands for 'you too'. The American band Negativland also have a single called U2, which features an image of the Lockheed U-2 spy plane on the cover. Negativland were later sued by Island Records, claiming that the album "violated trademark law" with the band U2, and all copies of the single were withdrawn from stores and destroyed. The crisis incident is mentioned in Billy Joel's history themed song "We Didn't Start the Fire" as the first event in the 12th stanza. Operators of the U-2 spy-plane. Black Cat Squadron of Republic of China (Taiwan) Air Force. 99th Reconnaissance Squadron USAF Beale Air Force Base, CA. United States Air Force. Additional operational units are operated from various locations around the world as operational requirements demand. Related content of the U-2 spy-plane. Comparable aircraft of the U-2 spy-plane.